The Tsarnaev brothers have little to do with Chechnya. They have spent most of their life in the United States and their connection to Chechnya is on the basis of an imaginary kinship with an ethnonational group. The brothers have been described as “self radicalized.” In other words, over time they developed a powerful sense of their ethnic identity and its humiliation which resulted in decisions to unleash extreme measures. How does this happen? How is it that generally average American boys, with Chechnyan heritage, all of a sudden foreground that Chechnyan heritage and behave so violently? Well, ethnic identity is like a plot in a murder mystery; it thickens over time. But it remains true that this identity has to be activated or triggered. The more interesting question is how such an identity is triggered. What are the issues most associated with stimulating differentiated group identity? Such identity is rooted in tradition, sacred mythology of the past, and a collective consciousness. The work of Anthony Smith directs attention to the power of myths, memories, traditions, and symbols of ethnic heritage that are used by people like the Tsarnaev brothers to tap into and construct a narrative that tells the story of injustice and retribution. Under particular circumstances this can happen pretty quickly and easily. And it does not only apply to angry groups bent on violence to redress a past injustice. I have seen Jewish students with little knowledge of their Judaism and few touch points with Jewish culture and religion travel on the Birthright trip to Israel and return significantly influenced and changed if not transformed. They have experienced little more than the activation of their ethnic identity through symbols and myths that historically position them within something greater than themselves of which they assume a long kinship. The map below is just for general information because most people (although not the readers of this blog!) think we are talking about Czechoslovakia rather than Chechnya. Some earlier research on terrorism found that terrorist groups achieved their goals one of which was gaining attention. In other words, immediately following a terrorist act the public turns its attention to the issue or cause of the terrorist. Palestinian terrorism in the 60s and 70s is generally known to have been successful at laying the foundation for future international sympathies toward Palestine. Consequently, I’m sure that Google was filled with searches about Chechnya a few days after the Boston bombings. The public simply asks “who are these people and what are they talking about.” At least that’s true of some of the public but unfortunately large segments remain oblivious and apathetic about conflicts in strange places far away. Very briefly, the Chechens are autonomous people in the Russian Federation in the North Caucasus. They have been in conflict with the Russians for generations and this conflict has radicalized many and been violent, very violent sometimes, on the part of both sides. There has been a raging controversy between Chechens and the Russian government since the early 19th century when Persia gave the territory to the Russians. They became increasingly focused on Islam given the proximity of Chechnya to Turkey and Chechnya’s continuous desire for help from Turkey. In 1944 Stalin committed atrocities and massive human rights violations by deporting the entire population of Chechnya’s to Central Asia because Stalin claimed they were supportive of Hitler. 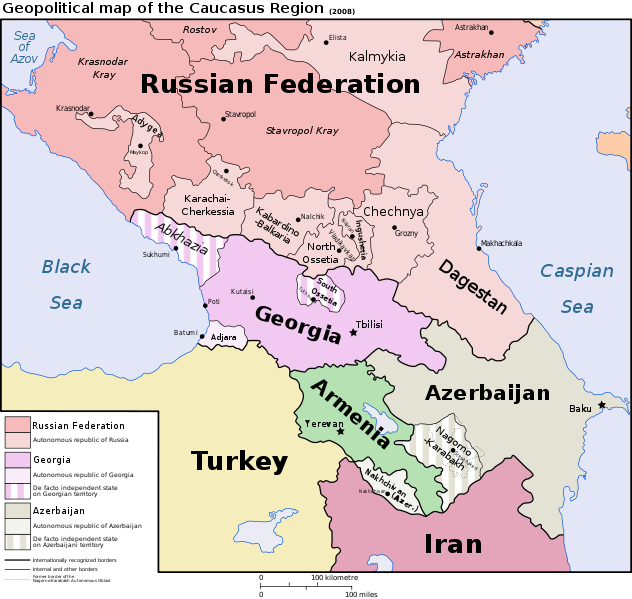 In 1991 after the breakup of the Soviet Union Chechen separatists sought independence from Russia and this resulted in bloody wars. Chechnya continues terrorist activities rooted in ideological Islam and national pride. Ethnic identity is a relational concept such that the categorization of an ethnic group is based not only on ingroup qualities but differences from outgroups. This is what Edward Said meant when he described the “Oriental” as inferior because he was relationally in opposition to Westerners. The Tsarnaev brothers somehow began to foreground their Chechnyan identity and define it in relational opposition to an American identity (as well as probably a Russian one). The added intensity of having a stigmatized Chechnyan identity (oppressed, mistreated, misunderstood) was probably sufficient to ratchet up their sense of humiliation and justification for violence. Unfortunately, the rising expectations about democratic development and the concurrent increased respect for group rights probably means that we have not seen the last of such violence. Posted on April 27, 2013, in Political Conflict and tagged ethnicity, Intergroup, nationalism. Bookmark the permalink. Comments Off on The Boston Terrorists and Their Imaginary Kinship with Chechnya.